New Delhi, May 27 (IANS) With the World Environment Day around the corner, the central government on Sunday launched a slew of activities for the day, ranging from nationwide clean-ups to ban on plastic after one-tme use across states, universities and national parks. India is the official global host of the day — also known as Eco Day — this year on June 5. The day is celebrated since 1974 with a different theme every time. 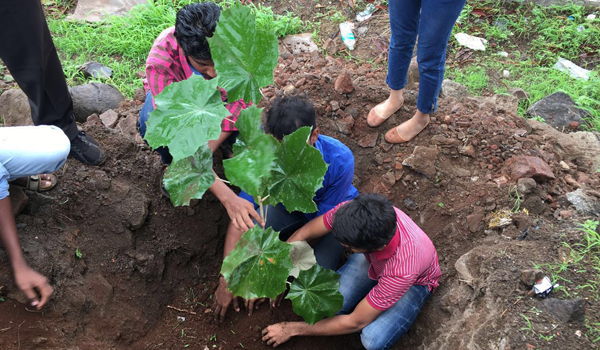 “Celebrations in India for the World Environment Day are being executed on a large scale — from 24 rivers and beach clean-ups to national parks and reserves going plastic-free. “Tens of thousands of schools are also joining in a big way to become free of single-use plastic,” a statement from the UN Environment quoted Harsh Vardhan, Minister for Environment, Forest and Climate Change, as saying at the curtain raiser on Sunday. The international body said that the celebrations will start on June 2 with an exhibition in New Delhi. “Plenaries on plastic pollution, marine litter, new plastic economy, extended producer responsibility and other issues are being organised,” the statement said. Prime Minister Narendra Modi, who during his monthly ‘Mann ki Baat’ radio address appealed to the people to shun plastic, will visit the exhibition on June 5. “I appeal to everyone to understand the importance of this subject. let us make sure that we don’t use polythene and low-grade plastic as plastic pollution adversely impacts the nature, wildlife and even our health,” Modi said on Sunday morning. The World Environment Day was chosen by the United Nations Organisation in 1972.